654 total shares. Be the next! Save Steve to your Collection. Register Now! 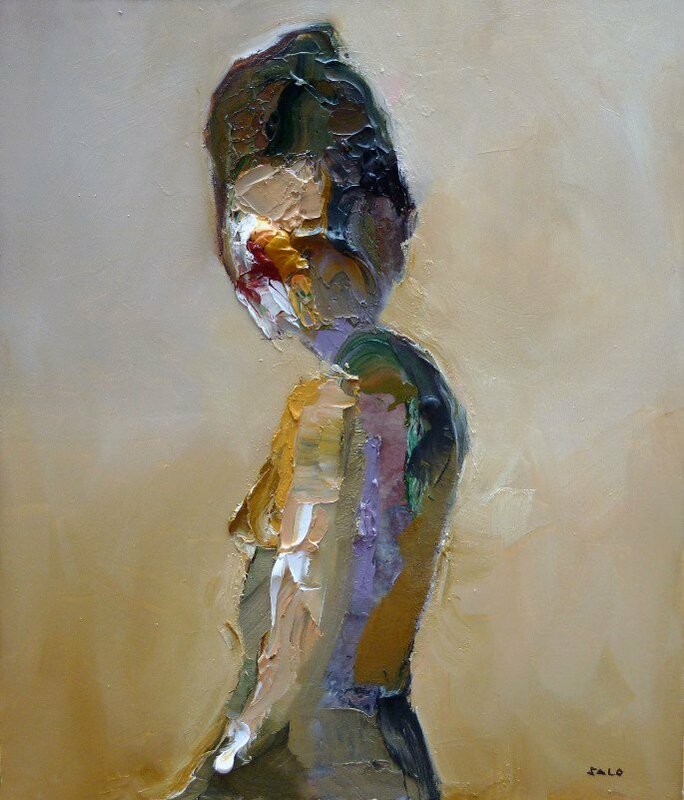 Steve Salo is a professional artist based in Geelong, Australia, and represented by Metropolis Gallery. 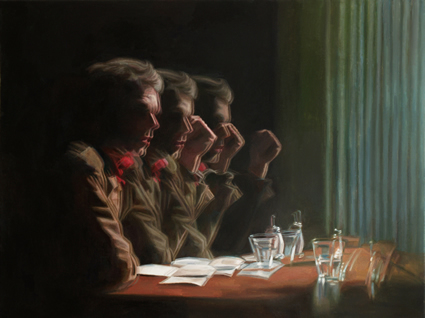 He is best known for his emotive portraiture. 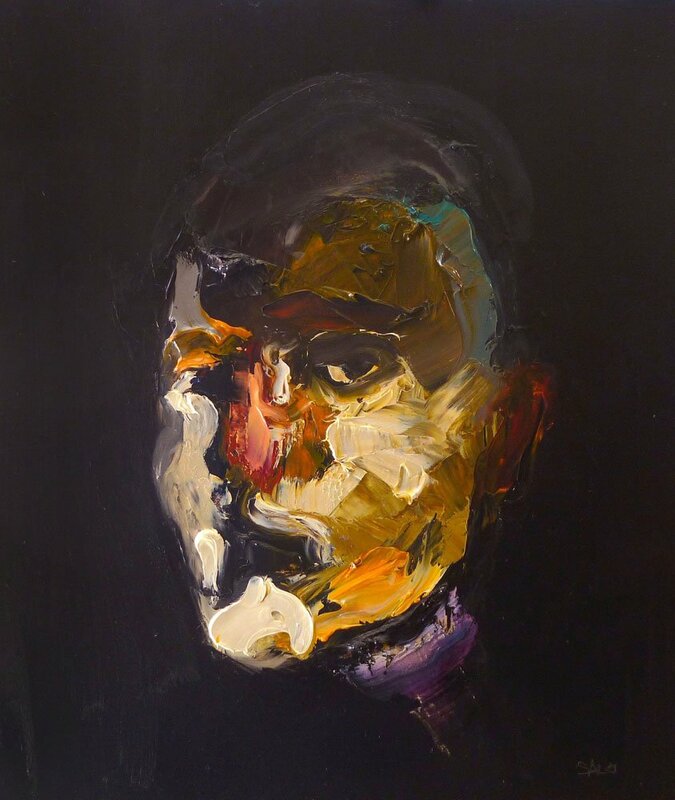 To see a Steve Salo portrait is to feel. He’s poured his tender heart into it, toiled with the complexities of his mind and expressed his soul with every stroke of the canvas. It can be a painful process and it can be divinely beautiful or somewhere in between. Look closely at a Salo: Is this the artist’s truth, the subject’s truth or your own truth that you are feeling? Steve is an explorer. In creating his paintings, he has extraordinary patience for working things out. 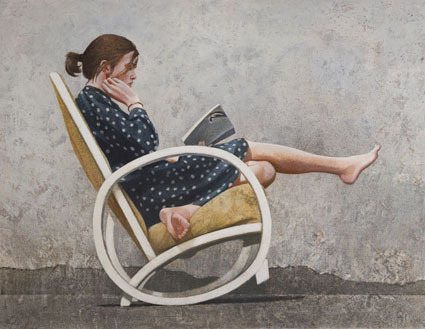 Often it is the imagining of a picture that takes the most time; hours, days or weeks of pondering and unravelling as he sits capsuled in his couch in front of the easel. Then, when ready, the painting flows out of him in an inspired frenzy. Other times he might just add a stroke then return to the couch to review the evolving image and plan his next move. The magic moments are when he touches the canvas and the painting “paints itself”. When fire destroyed Steve’s Torquay studio in March 2013, taking much of his painting history and all of his materials, all he was able to do was think…and think. When the desire to paint returned, his resourcefulness reached new heights. Using any surface and medium he could find or had given to him by artist friends, it became a time of experimentation. From this was born the Portraits of Artists series, painted mostly with his fingers and palette knife. Exhibited at Metropolis Gallery in March 2014, the show has sold works locally, interstate and as far as Hong Kong and the US. From his new studio in central Geelong. That is one intense stare beneath all that paint. It iis ALIVE! omg, i love the colour compositions and how they contrast together but also their shapes and structure.